Hello! Like many people, I love music, so I wanted to try to expand Sitzman ABC to include more music, especially to help others learn languages. I thought that for this first post I’d use a song that was famous in both English and German: 99 Luftballons. 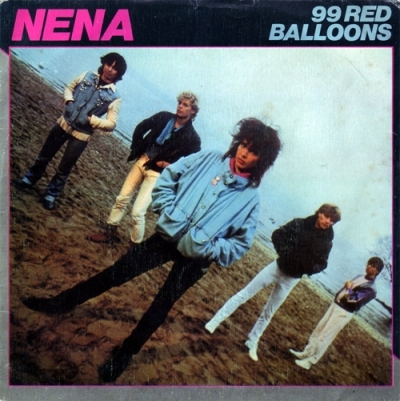 It’s originally from 1984, when it was sung by the German band Nena. Here are the lyrics with an English translation. Later, the group re-recorded an English version (but with different lyrics), and then it was covered by many groups, including Goldfinger and Nena herself, who did yet another version of the song. And finally, my German student Maria Jose played it on the guitar for our language school’s Thanksgiving talent show! She sang it wonderfully, and even won the talent show, so congratulations, Maria! I have wanted to do this post for over a week now, but I wanted to make sure that I had Maria’s permission to use the video of her singing. The video I took at the talent show was OK, but I missed the very beginning, and it was a bit hard to hear her sing. But she said it was OK with her, and that I could actually use this one that she had made herself. It’s very good! What do you think? I think they’re all good versions, and it’s interesting to see how different people interpret it through the years. Also, what do you think about the idea of Song of the Week? If you like it, what songs or what types of music would you like to see here? Would you prefer to focus on lyrics, song style, grammar, or something else? I’d love to hear any feedback you have.